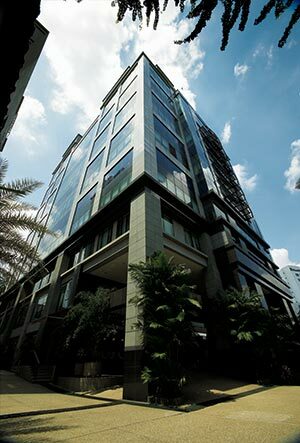 Located just off Jalan Dungun in the affluent Damansara Heights area, Wisma E&C is a classy office building with a double volume reception and a covered porte-cochere drop off area. This distinguished building is currently being refurbished. Refurbishment plans include upgrading of toilets, installation of new lifts, turnstile security and streamlining of building façade. Wisma E&C is located close to the future Semantan MRT station.